Thank you British Library Crime Classics and here in this country Poisoned Pen Press, for making lesser known writers of the Golden Age of Crime readily available. Not all the books are of equal quality of course, but the main idea gets an A+ for effort - especially for the trade paperback format featuring such gorgeous cover art and design. 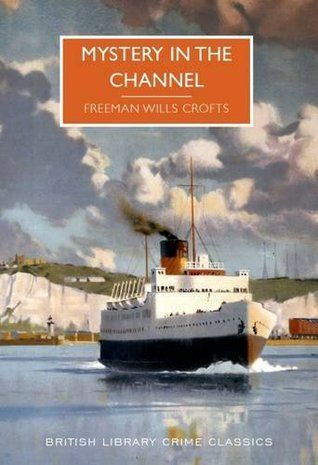 Years ago I read many Freeman Wills Crofts books and then promptly forgot them. (Hey, I also forgot all my John Dickson Carr reading as well, so it's not a selective thing at all.) The only thing I do remember was loving Croft's railroad mysteries - especially all the arcane minutiae. I had more tolerance for written detail then than I do now. Though if the detail is intriguing in some quirky way or other, I can still be brought to attention. This enjoyable book is strictly a police procedural (as are most of Croft's books involving the always dogged and reliable Inspector French) which many of us are fond of though some of us are not. When done well, I believe they are wonderful, I love 'em. There's just something soothing about reading this sort of thing while your mind takes a break from grappling with Big Ideas. In MYSTERY IN THE CHANNEL, it's the English channel (as you might have guessed) and the details of boating/shipping/sea-faring take the place of railway minutiae. In fact the actual murders take place aboard a luxury yacht. While crossing from Newhaven to Dieppe, an apparently dead body is spotted on the deck of a yacht by the captain of the Chichester, a passing steamer. When crew go aboard the yacht they discover a second dead man in the cabin below and no one else on board. Both victims have been shot. The weapon too is missing. So begins this carefully detailed murder yarn by the acknowledged master of this sort of thing. If two murders on board an otherwise empty boat in the English channel don't intrigue you from the getgo, then go read another book. I was caught up instantly. We soon learn that the two dead men are the chairman and vice-Chairman of Moxon General Securities, one of the largest and more important financial firms in Great Britain. Uh-oh. It is 1931 and the country is already reeling from economic woes - Moxon itself, unknown to its investors, has been in serious trouble for weeks. The once thriving firm will crash almost as the two bodies are being discovered in the channel. 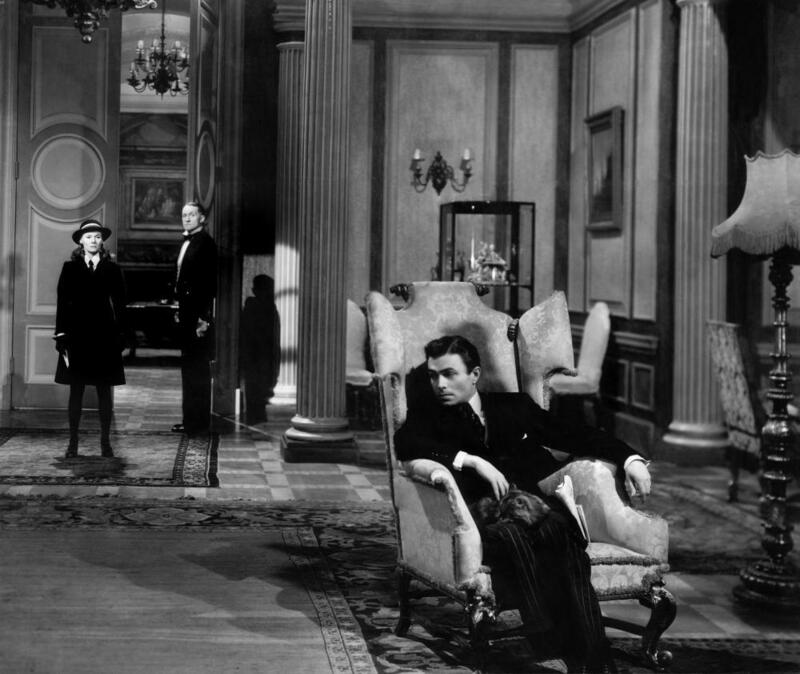 What's more, the chief accountant of Moxon's is missing as is another member of the firm. The financial ruin of thousands of investors (many of them small and dependent) is guaranteed as the firm has losses amounting to 8 million pounds and to make matters even worse, one and a half million pounds in cash is missing. Scotland Yard, in the form of Inspector French, is almost immediately on the job. Here the seemingly indefatigable Inspector travels back and forth between France and England - a bloodhound on the trail of the smallest lead, unwilling to rest until the culprit or culprits are caught. The author's talent for description is here finely tuned as he makes written images that plant us firmly in place. He's not much for character finesse and description but he makes sure we know where we are. An aside: Mrs. French is mentioned once in passing, though French seemingly lives alone in an apartment in London and the missus is nowhere to be seen. (She shows up as background in some of the other books.) I took it as a slight mistake on Croft's part. If he'd had the missus hidden away in a house in the country don't you think French might have mentioned it? At any rate, over at the foundering Moxon General Securities, the account books are being minutely looked over by what we would today call a forensic accountant, hoping to grasp how the current disaster came about. Turns out that the firm really was in grave cash flow difficulty and the defection of the key management team was apparently a desperate last ditch effort to save their own skins while leaving behind investors to face utter ruin. With the help of the very accommodating French police, the Inspector runs himself ragged following several trails which eventually peter out. An arrest is made, but soon turns to nothing. After much keen-eyed concentration on time schedules and how many knots a boat can do in so many given minutes, French will eventually get to the bottom of things and catch (at great risk to himself) a cold-blooded and extremely clever killer hidden in plain sight. This is a particularly engaging Croft book, possibly because of the various settings. It's made me want to read more tales with French in charge. Croft is too often overlooked when it comes to the Golden Agers and it's really a shame. He was an expert practitioner at a fairly specific sort of exercise, the likes of which I find rewarding and enjoyable. Todd Mason is doing hosting duties this week at his blog, Sweet Freedom. 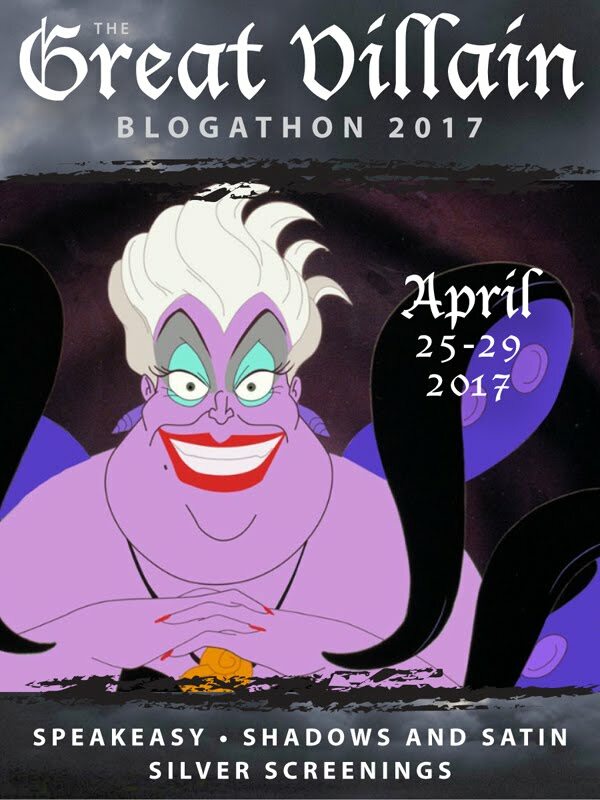 Don't forget to check in and see what other forgotten (or overlooked) book other bloggers are talking about today. 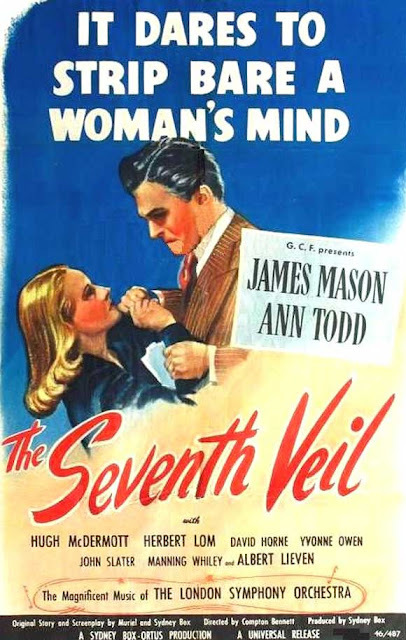 THE SEVENTH VEIL is one of those films from my movie-crazed youth that, for whatever reason, has fascinated me over the years. The last time I can remember watching it on television I was likely an impressionable teen hooked on local TV. 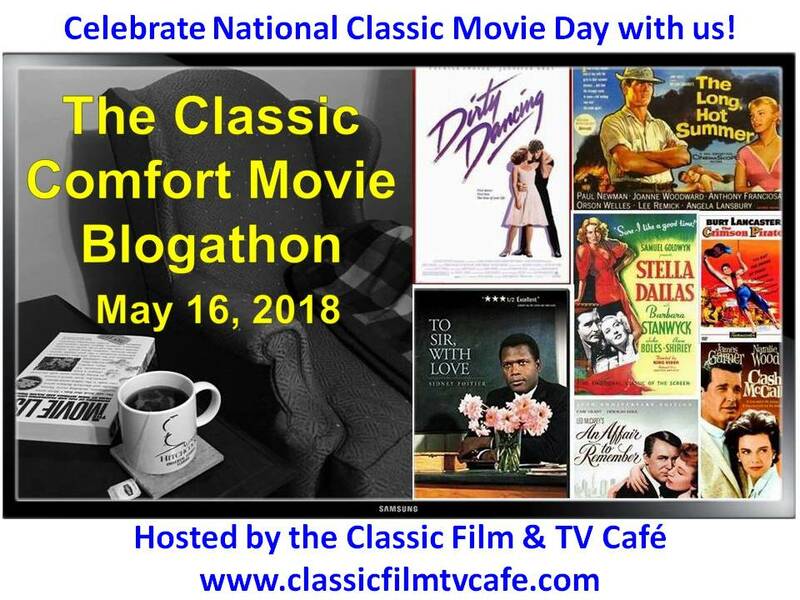 Channel 11's Million Dollar Movie was a favorite (they repeated the movie during the week so if you missed it the first time...) or maybe it was Channel 9 or CBS's evenings of movie magic back when N,Y. TV stations had hours of airtime to fill and did so as cheaply as possible with movies, movies, movies. (CBS even had a daily afternoon movie at 4:30!) All for just the price of a clunky black and white television set made in America and meant to last for years and years (no upgrade needed) and did. Out of the blue, I was recently able to watch THE SEVENTH VEIL on youtube where it is currently (but who knows for how long) available. I wish I could say that I was instantly transported back in time, but I wasn't. 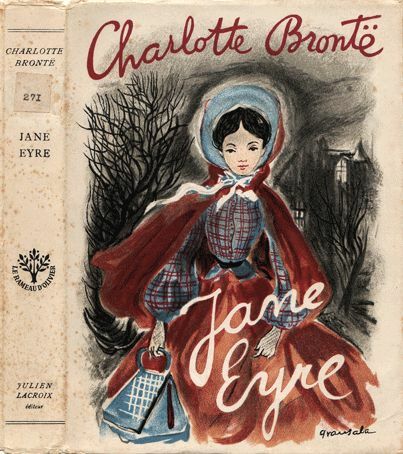 Admittedly, this was a very influential film for an imaginative girl growing up on the lower east side of Manhattan in the 1950's, but the thrill is gone. I'm too old and cynical now to fall under the spell of thwarted love. Sad. In a nutshell: THE SEVENTH VEIL is a dark and laborious tale of destructive love and pathology, but with a happy ending. I kid you not. Even if the tale does begin with a suicide attempt. The poster's dramatic tag line: 'It dares to strip bare a woman's mind,' refers, I suppose, to the fact that most of the film is told in flashback as the beleaguered heroine is treated by a sympathetic psychiatrist (Herbert Lom). He believes strongly in hypnotism and the idea that once you remember everything bad you will come out the other end, cured and ready to tackle a new day. It's obvious they made that chair too big to try and make Ann Todd look smaller/younger and vulnerable. 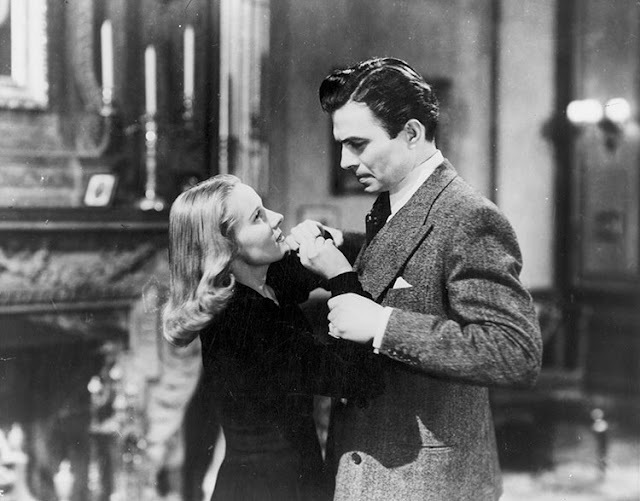 Okay so here we have Ann Todd who must play a fifteen year old near the beginning of the film (you sort of have to squint not to see she's too old) and then watch as she ages into an attractive woman in her twenties under the dark brow of her cousin, a controlling, chillingly censorious and very much given to brooding, guardian played by James Mason. Of course he's rich and lives in a large and charmless mansion. Typically: he has a cane and limps which romantically hints at some long ago secret hardship AND he always wears a suit and tie even when just sitting around petting his cat. 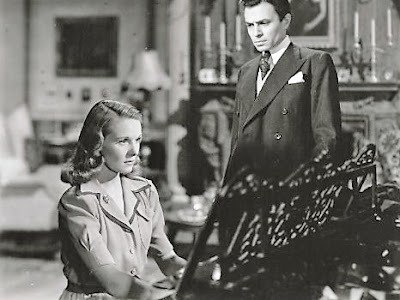 Piano prodigy Francesca Cunningham (Ann Todd) arrives on her guardian's doorstep while still a schoolgirl. 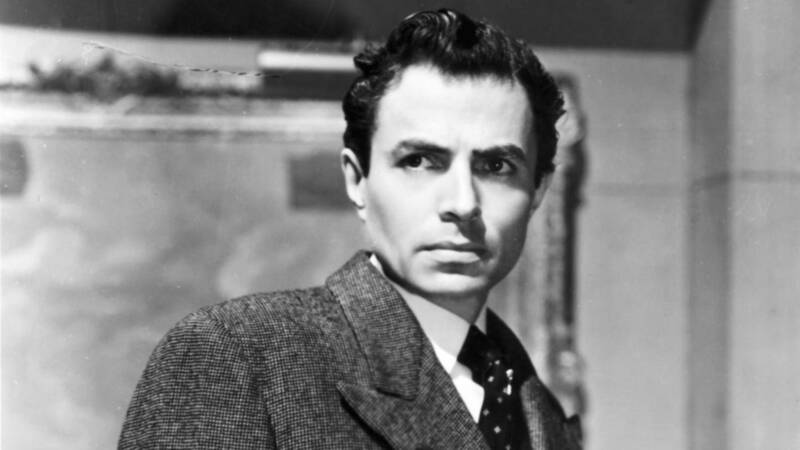 James Mason can be menacing without hardly batting an eye when he wants to be which is usually all the time. 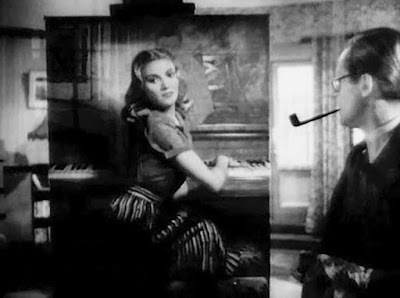 Once he realizes how musically talented Francesca is, he becomes hell-bent on fashioning the introverted girl into a world-renown pianist and to that end forbids her to have any fun. Everyday it's practice, practice, practice amid lots of scowling intimidation. 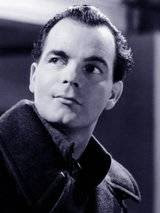 Hugh McDermott, an actor with a light-hearted personal charm and the sort of look men in the 1950s had in real life. When Francesca does get a few moments on her own she naturally enough seeks out smiling young people. One night she meets a likable night club musician, Peter Gay, played by the usually-looks-older- than-he's-supposed-to-be-actor, Hugh McDermott. (He was unconvincing as a college 'boy' in PIMPERNEL SMITH mainly because he looked about the same age as his professor, Leslie Howard. But that's a story for another day.) 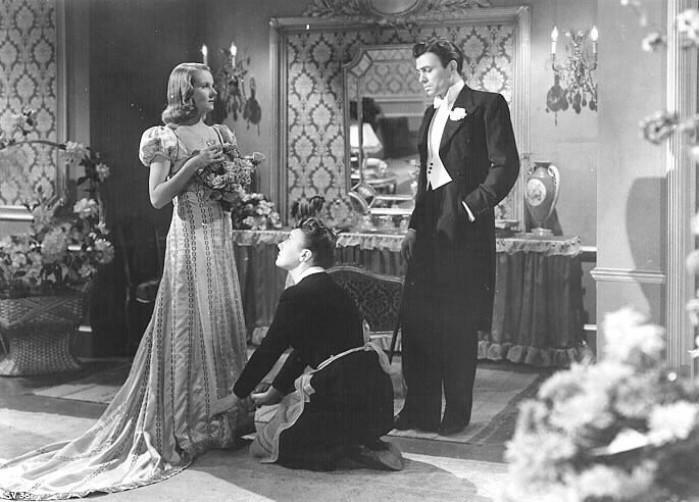 Peter is smitten with Francesca and she with him and soon they plan to marry though she is still underage. Uh-oh. Nicolas will not take this well. 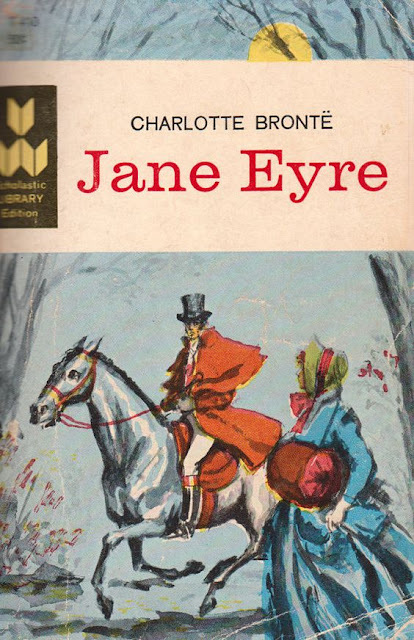 I suppose we have Jane Eyre (and/or Harlequin Romances) to thank for our affection for these sorts of heroes and stories. Because of course we know all along that Nicholas, the dark and brooding villain of the piece is crushingly possessive of Francesca for one reason and one reason only - he is in love with her and has no other way to show it except to try and control her every breathing moment. I know, I know, how 19th century-ish, but this is the sort of thing that made me swoon back in the day. 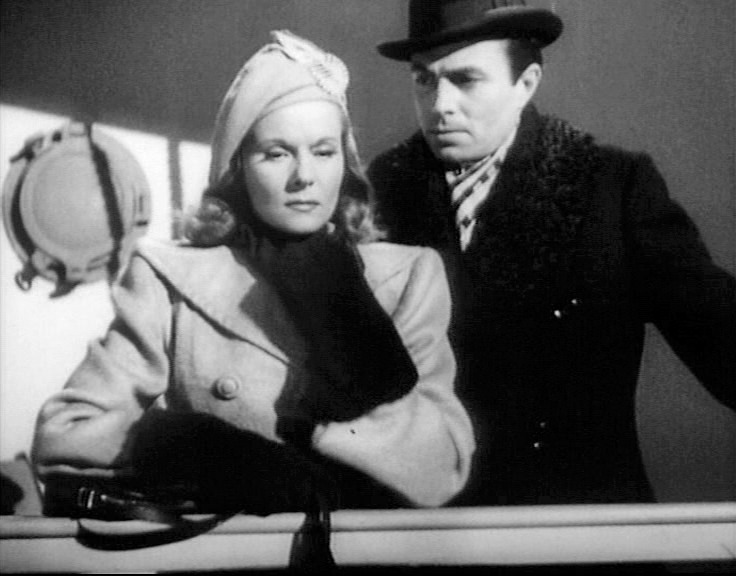 As a teenager I saw James Mason as the poor misunderstood long-suffering hero. It hardly occurred to me that perhaps he could have behaved a little nicer. But aren't dark, soulful, brooding men supposed to behave this way? Hey, that's what I learned from books. What do those darkly intense stares really mean? But the truth is, Francesca is such a wimp that you almost don't feel sorry for her as the story progresses because she seems the sort to warrant intimidation. Do I still feel that way today? Well, to be honest, yeah. On re-watching this film it is perfectly obvious that Francesca should have stood up for herself more and not allowed herself to be so easily manipulated. Though naturally, Nicolas being her guardian, he had the law all on his side. Back then it was much easier to lord it over women. Forget Peter, he's nothing but a two-bit musician - you are an artiste. Go out there and knock 'em dead - or words to that effect. When as long last she makes her concert debut, Francesca performs brilliantly. But thanks to a long ago and rather vulgar schoolmate in the audience who reawakens memories of a violent school episode, Francesca faints after the concert right there in full view of the cheering audience. It's not easy being a sensitive soulful female. Genius, as we know, is often an unfair burden. Once back at the house in London, Francesca goes to look up the man she abandoned, Peter Gay. But she finds to her dismay that he's since married. (A very moving scene - once they meet again for the first time - well handled with no dialogue.) Francesca flees in the night. Couldn't they have fashioned a better portrait of their leading lady? Later Nicholas hires artist Maxwell Leyden (Albert Lieven) to paint Francesca's portrait and of course the artist falls in love with his subject. Never mind that the eventual portrait looks nothing like Francesca. Once again, Francesca and Nicholas have it out over another man. This time the man in question wants Francesca to come and live with him in typical bohemian artist fashion. Though Francesca assumes they'll be married at some point. Nicholas is so outraged that he slams his cane down on the piano keys just missing Francesca's hands by a millimeter. The way to a woman's heart back in the day. Traumatized, Francesca runs away into the night. I think this is when she jumps off a bridge into the Thames river and is saved by a London bobby - or actually, I think that happens a little later after the automobile crash. There's so much turmoil, it's hard to remember the schedule of events, but I do know that the crash happens when she and the artist run away (poor Francesca can't even run away successfully). The crash injures her hands and she wakes up convinced she will never play the piano again. At any rate, she winds up in a hospital or 'nursing home' as they used to call it in the care of a psychiatrist who is intrigued by her case. You see, she is sure she can no longer play and doesn't want to live and he is sure it is hysteria of a particular sort since her hands have completely healed. 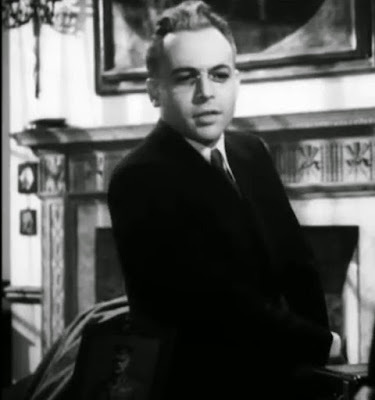 Herbert Lom as the all-knowing psychiatrist, Dr. Larsen. One thing leads to another and in the end, said psychiatrist conducts a very unorthodox experiment to determine which of three men (oh, alongside Max the smitten portrait painter, band-leader Peter Gay, newly divorced, turns up at the house at the bidding of Dr. Larsen) Francesca really and truly wants to be with. As if the solution to her woes must be in the hands of a male third party. Well, in this instance, it is. Hokey, but that's the way they figured things back in the day. At any rate, I promised you a happy ending and (depending on how you look at it), that's what we get. And oh by the way, Francesca is cured. Movies like this had such a seductive impact on me back when I was googly-eyed and thoroughly susceptible to stories of storm-tossed romance. I truly believe that certain books and films imprint indelibly on the imagination if watched or read at certain ultra-spongy times in our development. 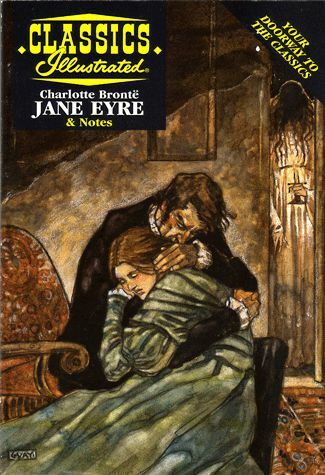 I have always liked tall dark men and it is true that my favorite romantic hero in fiction is Mr. Rochester. 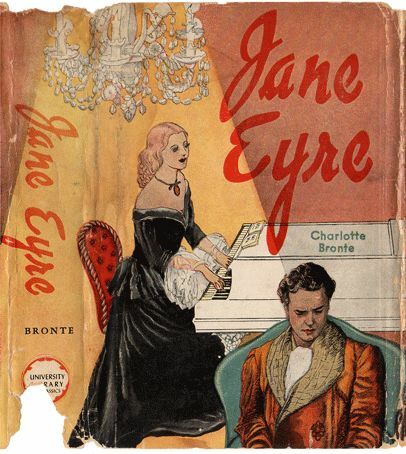 And what's more, the guardian/ward romance has always been a favorite of mine though as everyone knows, Rochester is Jane Eyre's employer, not her guardian. But the dynamic is the same. And believe me, I know that in real life, men like these would be extraordinarily difficult to live with, but tell that to my then impassioned teenage heart. THE SEVENTH VEIL is a rather intriguing period piece and viewed from the perch of today, it is a silly sort of thing. (Though I note that online it is labeled a classic of suspense.) But it stayed with me over the years and I was pleased to have a chance to see it once again. And I still like the chilling way James Mason broods. 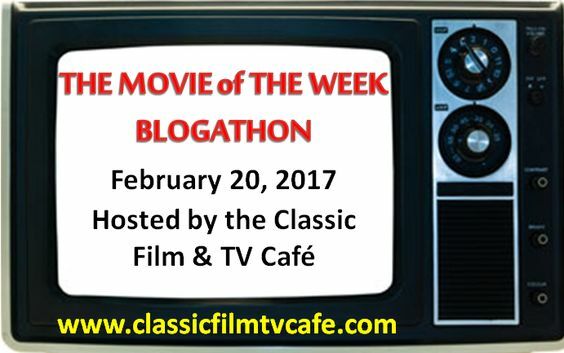 Tuesday is usually Forgotten (or Overlooked) Films and other Audio Visuals Day over at Todd Mason's blog, Sweet Freedom, Todd will have the list of participating bloggers. If the links aren't there in the morning, they'll probably show up in the afternoon. Life can often gets in the way of blogging as we all know. 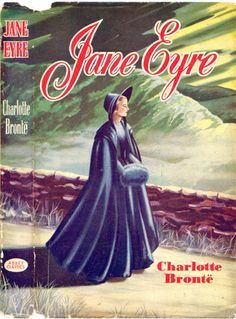 Georgette Heyer, as most of you know, is the anointed queen of Regency Romance (though several of her books take place a bit earlier towards the end of the Georgian period). I've talked about her often enough since I am a slavish fan-girl. Heyer's brilliance, elegance, wit and charm and her often laugh out loud humor just cannot be duplicated. 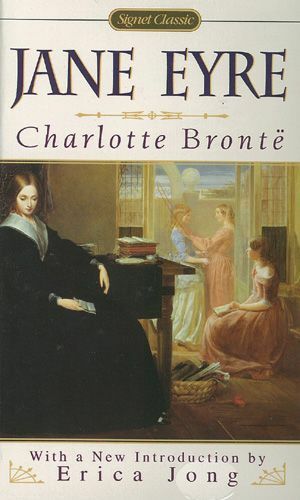 She combines all that and more in her best Regency books which I am given to re-reading when I'm down in the dumps. 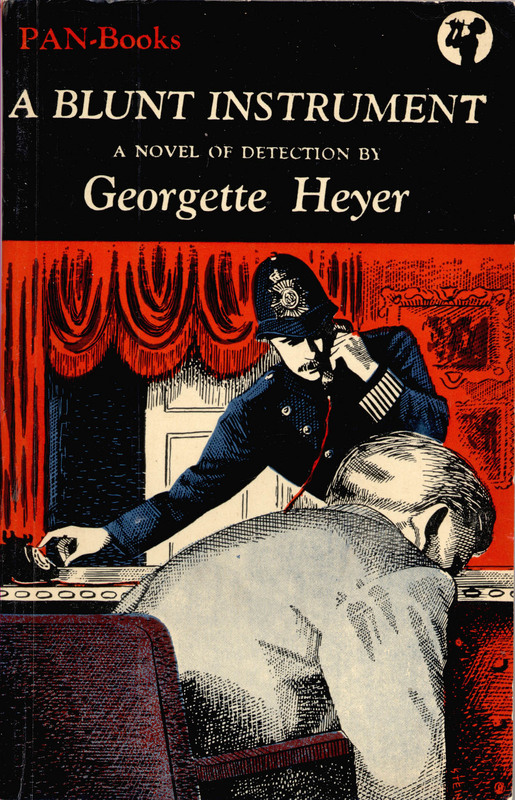 But Heyer also wrote a bunch of mysteries which rival the Golden Age distinction of Agatha Christie and the rest of the talented dames who glorified the country house murder genre I love so much. 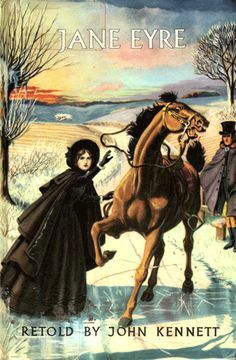 While not as lavishly enhanced with wit, charm and humor as her Regencies, Heyer's mysteries are, nevertheless, worth finding and reading because at heart, they are excellent whodunits in the British Golden Age style. And if you love that very particular sort of writing and tomfoolery, you will love these. The dead man, of course, is more than at first appears and several convenient suspects are immediately in the running for head murderer. 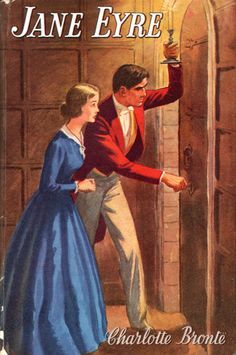 One is a devilishly waggish nephew, Neville Fletcher - the heir apparent - and the other is Helen North, the loathe-to-tell-the-truth wife of a man who handily enough is away from home at the time of the murder. Or is he? It seems that the aforementioned wife was terrified of having her hubby (they are currently estranged) finding out that the dead man, Ernest Fletcher, had in his wall safe, a clutch of I.O.U. gambling vouchers belonging to Mrs. North. Mr. North frowns on that sort of thing. Then there is Mrs. North's pragmatically inclined sister Sally Drew, (she wears a monocle and chain smokes - well, I tell you, it's 1938 after all). Sally is a mystery writer and is naturally enough intrigued when a real murder lands, as it were, on her doorstep. There are also a couple of men (obviously fond of calling on potential murder victims late at night) of the lower sort who were apparently up to something or other with the dead man. 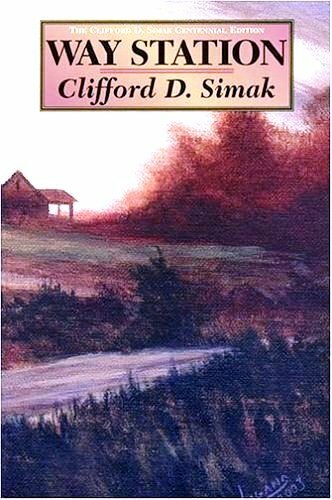 There are motives galore, much mis-direction (the whereabouts of the weapon for one) and a long ago suicide to be factored in, but I suspect that experienced readers of mysteries will figure out whodunit before the last page, but still continue reading just to see how Hannasyde and Hemingway finally get to the truth of the matter. 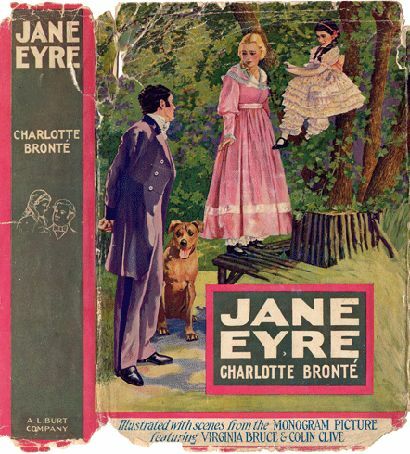 During these days of wretched political strife and horrendous doings around the world, I am so very grateful for my favorite books - how they help soothe my often frazzled nerves. There is just nothing like re-visiting the wonderful worlds created by certain authors. Thank goodness. Link: a full list of Georgette Heyer books. Since it's Friday, we once again turn to author Patricia Abbott's blog, Pattinase, to see what other forgotten or overlooked books other bloggers are talking about today. 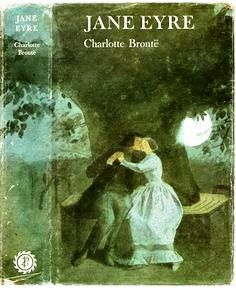 It occurs to me that there have been lots and lots of JANE EYRE book covers over the years (the book was published in 1847) and why don't I post a few. True, this is not exactly a forgotten or overlooked book, but in the past I've posted about favorite not-overlooked and/or not-forgotten books and the world didn't come to an end. 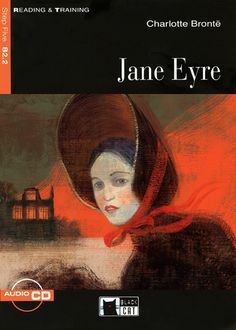 JANE EYRE is one of my favorite books - let's get that over with up front - and if you need to know what the book is about, take a look at these covers - they will give you some idea. 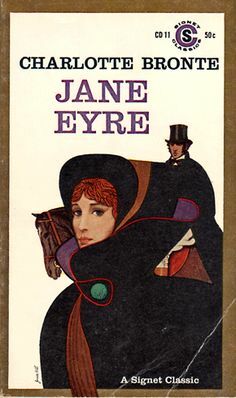 Hard to believe that Jane was the first feminist heroine (or so I viewed her then and now) from these romantically brooding covers, but the truth is there in the pages of this memorable novel. 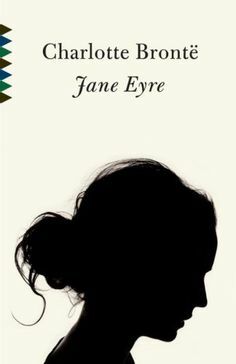 JANE EYRE is very definitely worth a read if you, by some wild chance, haven't read it already either in school or on your own. 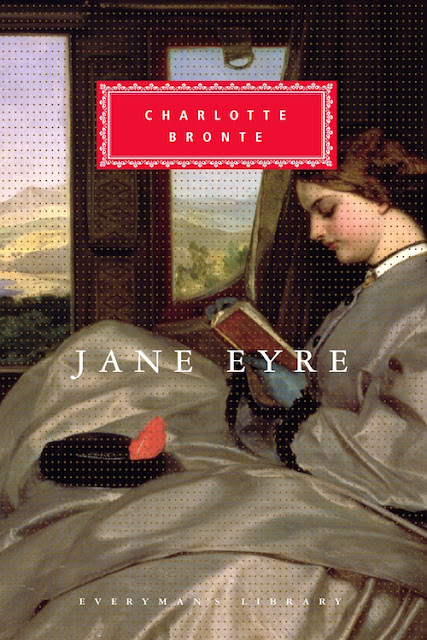 It is not, in any way shape or form, a 'difficult' book, though written in the style of the mid 19th century. 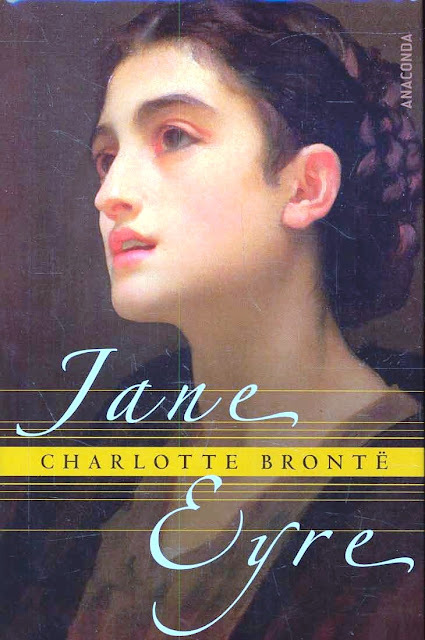 It is a brilliant, brooding, deeply affecting classic for many reasons. One of which is the heroine's willingness to do what is right no matter the risk to herself. 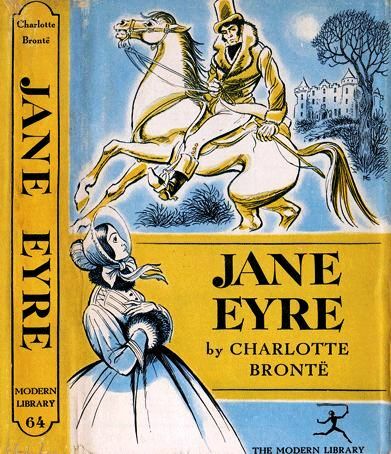 Even with the first feminist heroine, Jane's creator had to first publish the manuscript under a male author's name. 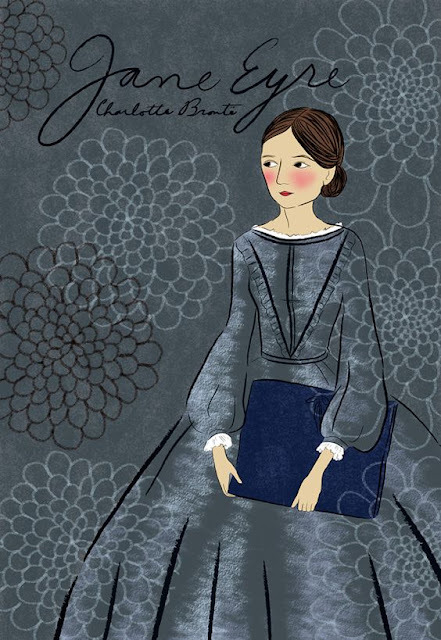 Better that than not published at all - Charlotte Bronte was no fool. 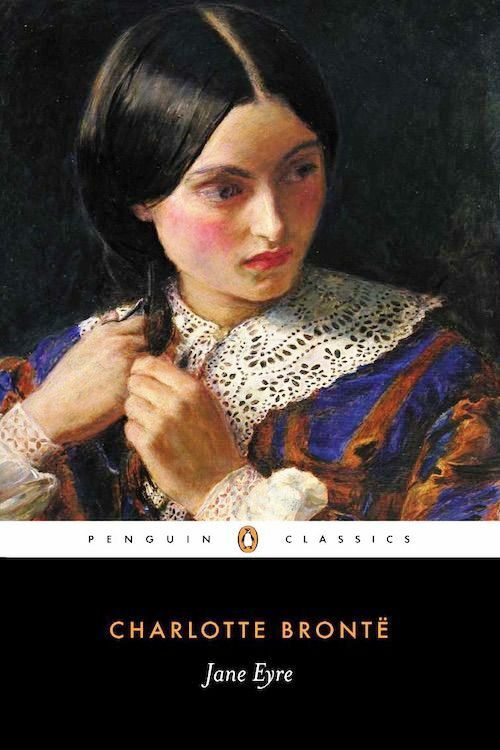 Her hero, Mr. Rochester was the first tall, dark and dangerous anti-hero, a protagonist so familiar today - he is to my mind, the perfect anti-hero, even better than Heathcliff, in the book written by Charlotte's sister. At any rate, no more need be said about the book. It is available everywhere in every form imaginable. 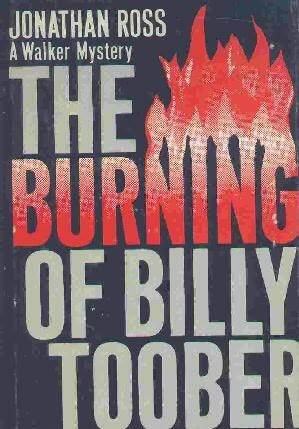 Since it's Friday once again, don't forget to check in at Todd Mason's blog, Sweet Freedom, to see what forgotten or overlooked books other bloggers are talking about today. Author Patti Abbott, our regular long-time host, is still on hiatus.